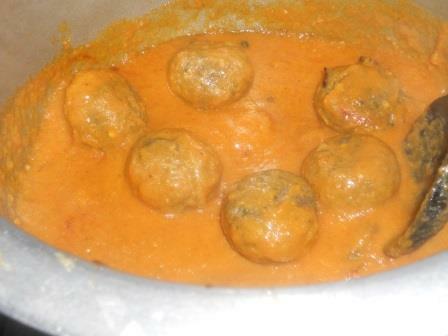 The word kofta comes from Classical Persian kōfta (کوفته), meaning “rissole”, from the verb kōftan (کوفتن), “to pound” or “to grind”, reflecting the ground meat used for the meatballs. 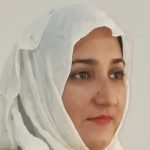 The languages of the region have adopted the word with minor phonetic variation(Wikapedia). 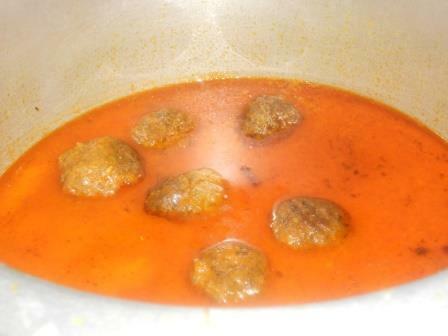 Kofta is a family of meatball or meatloaf dishes found in the Pakistani, Indian, Middle Eastern, Balkan, and Central Asian cuisines. 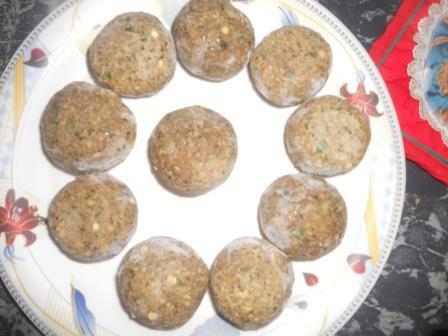 Koftay are actually meat balls and Anda Koftay is a popular Pakistani main course dish that is liked by all. 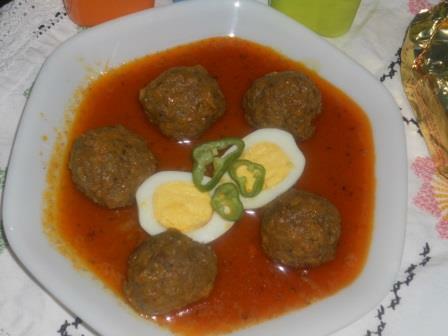 Koftas along with hard boiled eggs are usually served cooked in a spicy curry/gravy of tomatoes, spices, and yogurt for creaminess and are eaten with boiled rice or a variety of Pakistani breads (Chapatti/Nan/Roti). It seems it will take much time while preparing but actually it will not, if you follow step by step instruction. 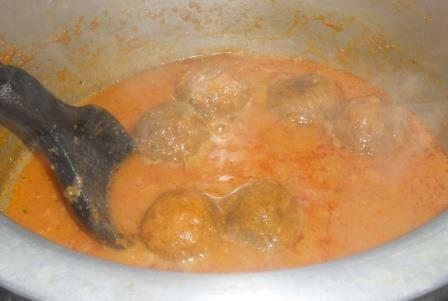 In Pakistan and the Middle East, koftas consist of balls of minced or ground meat—usually beef, chicken, lamb mixed with spices and onion. 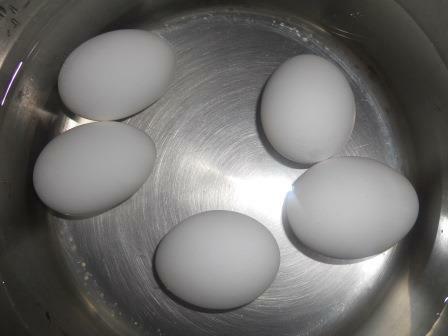 Hard boil 5 eggs about 10 minutes. Immerse immediately in cold water and then peel. Set aside. 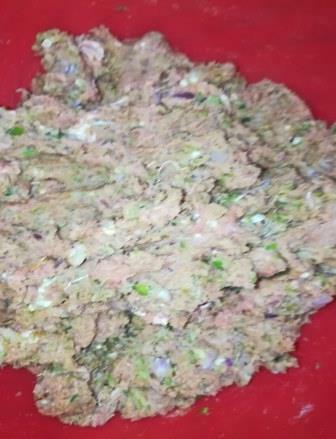 Take minced meat in a large bowl. Add onion, red chili, salt, garam masala, Cumin powder, Coriander powder, Green chilli, Fresh coriander, Chick Pea Flour, Corn flour, and Ginger. 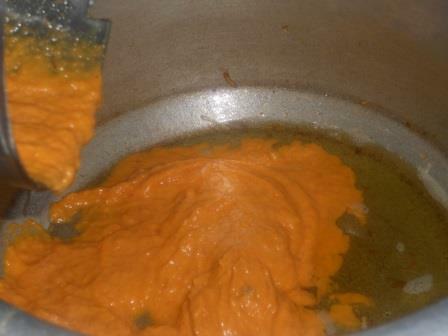 Mix well to form a smooth mixture. 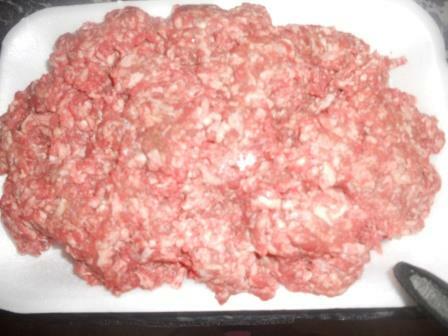 Now wet your hands is water so the mince does not stick to your hands and make balls and keep aside. 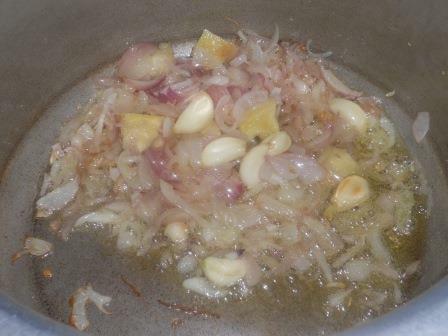 Heat the oil in a deep pan and add the chopped onions. Fry until light golden in color. Add the ginger and garlic and fry 2-3 minutes. 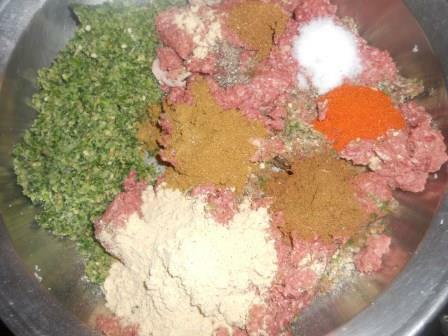 Add Coriander powder, Cumin powder, Turmeric Powder, Red chili powder, Garam masala powder, Salt, tomato along with fried onion, ginger, garlic and blend all in a blender. Mix well and cook on high flame. Fry till the oil comes on the surface. Now add the koftas and fry a little. 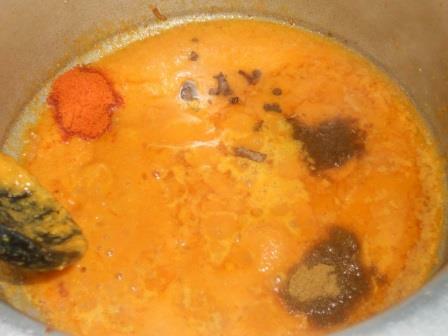 Add the yogurt and mix well and cook for 2 more minutes. 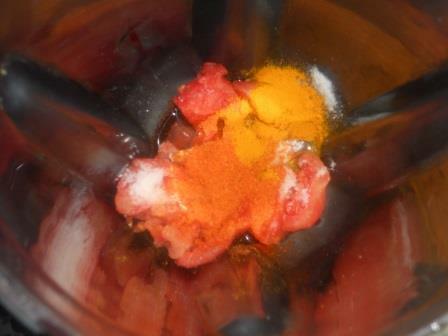 Then add 2 cup of water, Mix it well. 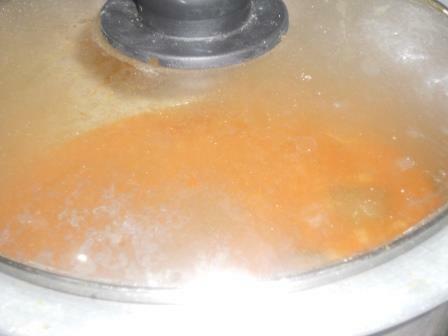 Cover the lid of pan and cook for 15 minutes on low flame. 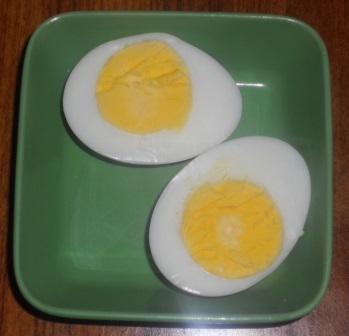 Slice the eggs in half horizontally. When gravy is done, pour in dish and add in boiled eggs. Garnish it with fresh coriander, green chilli, garam masala powder mix and serve with naan/chapatti or boiled rice. Can be served either as an appetizer or entree. You can serve the entire dish or on a serving platter. Can be served with boiled basmati rice or with roti/Nan/Chapatti. 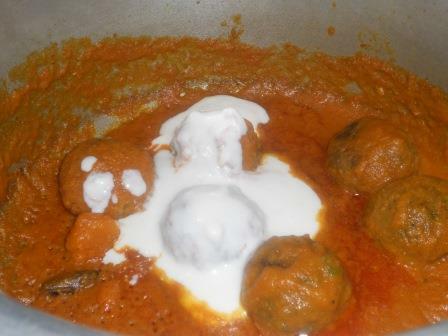 You can give the fried meat ball to your kids as lunch for school with some sauce. I liked this dish very much.